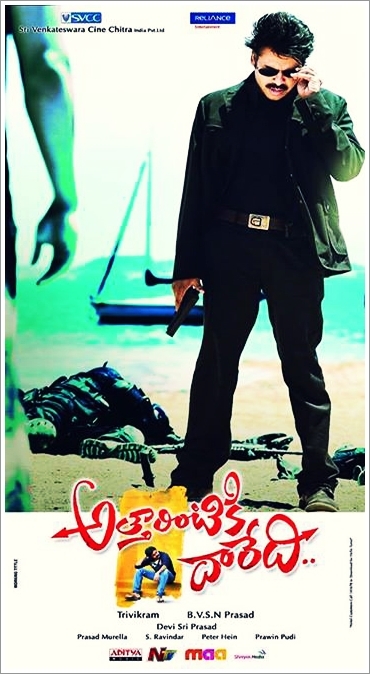 Power Star – Trivikram Atharintiki Daredi completed its censor formalities today. Censor board awarded Clean ” U ” Certificate with no cuts. Movie gearing up for August 7, But due to political scenario in state , movie may postpone to another date. Power Star fans are much waiting for this flick. Already Power Star hits YouTube with unique records.Pranitha & Samantha are the female leads. Bramhanandam & Ali comedy is said to be highlight in the movie.